This trunk was built for Calhoun County ISD as a portable sound system for their locker room allowing the team to make announcements and play music. The trunk and internal sound system was designed and built by the LM Cases Custom Integration department. 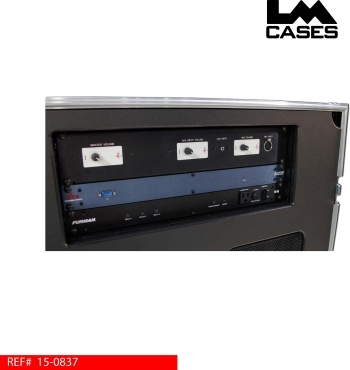 The system is compromised of QSC K Series speakers, system processing is handled by a DBX ZonePro. All speakers are time aligned to provide accurate source representation with minimal phasing and comb filtering. The LM Cases CI department built a custom 2RU rack panel housing 3 DBX ZC1 controllers which are configured for master volume, auxiliary input volume and microphone volume. The panel also houses a XLR input jack and a 1/8" stereo input jack. The system processor is configured to process each speaker individually for optimal playback clarity and punch. The microphone features a feedback detection processor to avoid feedback due to improper mic handling. 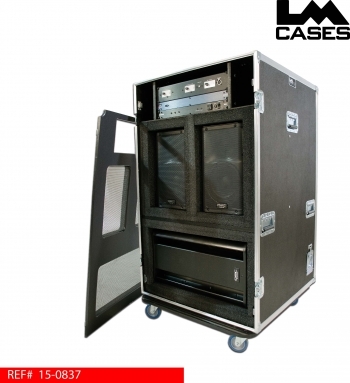 System power is handled by a sequencer ensuring that all devices are powered on and off in a safe manner. 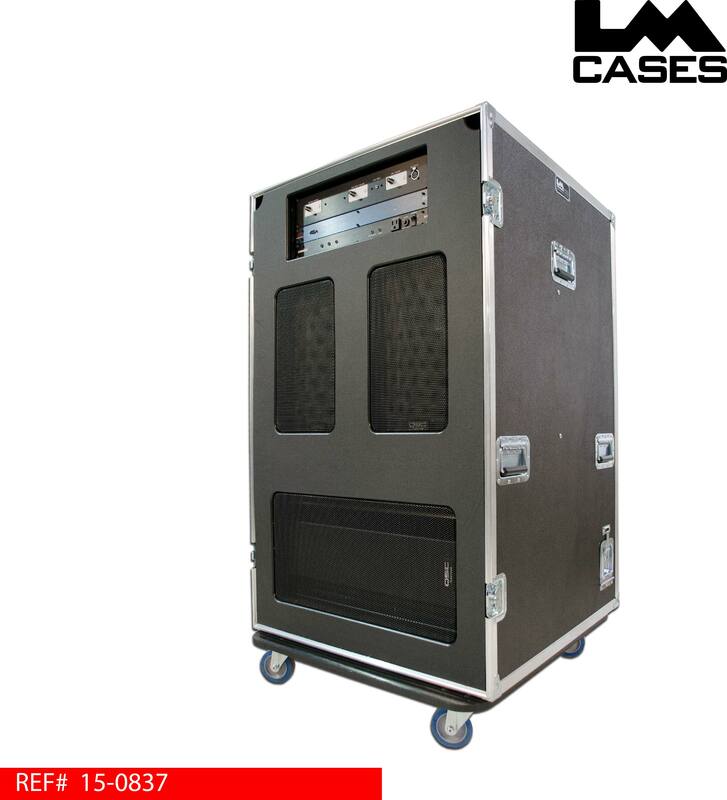 Power is fed into the case via a 30ft retractable extension cord that is permanent to the case eliminating the need for an extension cord. 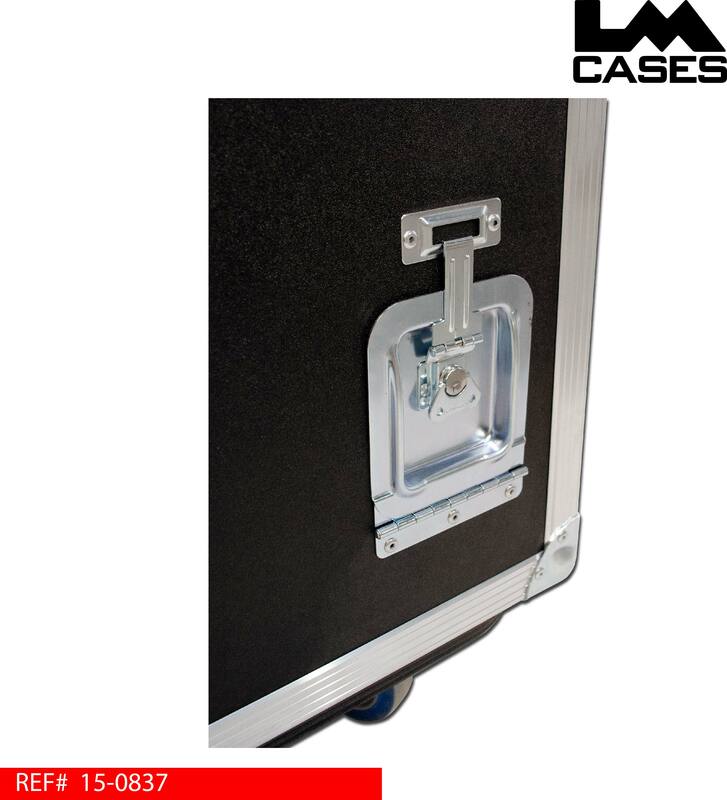 Each speaker is mounted in an individual 2" foam lined compartment. The case features a removable 1/2" Marine Grade plastic fascia with custom pressed expanded metal grills over each speaker. 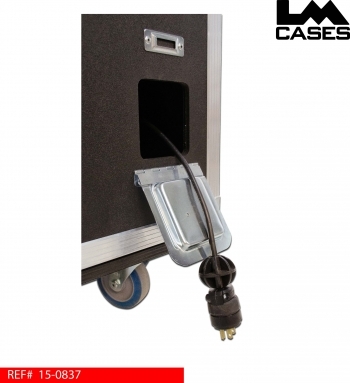 Custom foam O-Rings that contour the speaker's cabinet geometry were created to interface the speakers with the font grill to aid in projection and prevent any metal on metal contact. 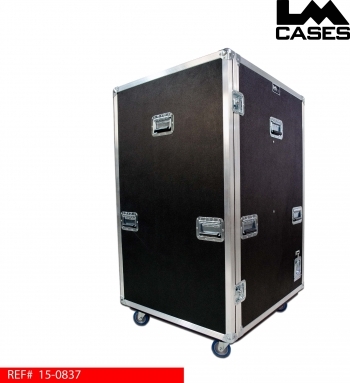 The exterior case is built out of 1/2" plywood laminated with black ABS plastic and features 12 recessed handles, and 4" Colson casters.